Growth of soft signage leads to investment in MTEX 1800 for Digital Imaging Services. Hanging fabric banners in production on the MTEX 1800 direct-to-textile printer The growth of soft signage and its potential profitability has inspired Digital Imaging Services, based in Wolverhampton, to take a step into direct-to-textile printing with an investment in an MTEX 1800 printer. Digital Imaging Services (DIS) specialises in high end, project-based work mostly in the retail, automotive and events sectors. 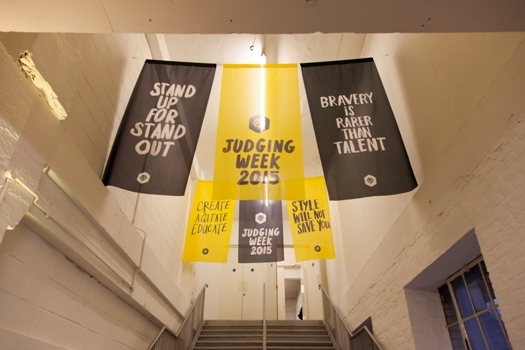 The company recently won Silver at the International MAC TAC creative awards for its high profile quality work. “We were one of the first companies in the Midlands to specialise in grand format digital printing and installations when we started up in 1996, and since then we’ve built up a reputation for offering quality, reliability and creativity,” said Managing Director Mark Bradley. “We have an international, high profile client base, and often deliver graphics for prestigious events in leading cities such as London, New York, LA and Paris. Hanging fabric banners printed by Digital Imaging Services using the MTEX 1800 direct-to-textile printer Mark says that the company already has UV, solvent & Aqueous printing facilities but wanted to make a move into direct-to-textile sublimation printing. They looked at a number of options, and decided on the MTEX 1800 as they considered it to be a ‘proper’ production machine that offers both speed and quality. “We pride ourselves on offering bespoke complete solutions, and that means being able to offer reliable, consistent printing across a range of applications and media, including high end graphic solutions such as retail lightboxes. “The quality of print from the MTEX – the depth of the blacks as well as the consistency and vibrancy of colour – made it a winner for us. “But quality is no good without productivity in the commercial world – you can’t have a machine that will print just four perfect flags a day when you have an order for 100s. DIS has 17 staff and around 14,000 sq ft of production and warehousing space. The plan for the MTEX 1800 is to initially offer new, improved products to existing clients, then grow the client base, capitalising on the opportunities that cost effective, vibrant and easily refreshed soft signage offers. “At the moment we’re working with a Scottish whisky company on gallery graphics that they’ll probably use for the next five to ten years, which is great for their needs, but for the retail and events markets for example, having graphics you can change as often as once a month or seasonally is a continued attraction. “Soft signage printed direct-to-textile offers excellent quality graphics, easier transport and reduced potential for damage, and simple replacement using today’s frame systems – perfect for regular promotions, events and other bespoke graphics, at an affordable price. This exciting direct-to-fabric 1.8m sublimation printing solution with integrated fixation is the ideal and affordable solution for sign makers and graphic display professionals. 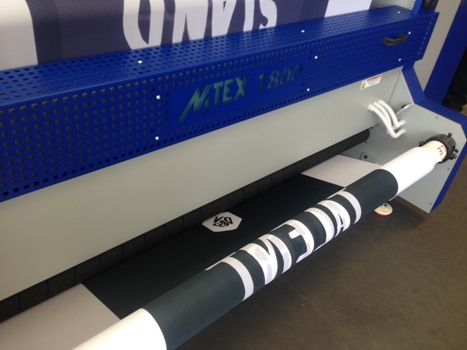 Built to the exacting standards expected from MTEX, the 1800 is the younger brother to the flagship 3.2m wide MTEX 5032Pro printer, the market leading 3.2m wide textile printer in the industry today. It is suitable for home textiles, backlit applications, flags and banners, sun blinds, window fashion and automotive. Print resolution from the Epson heads is up to a stunning 1440dpi, with speeds up to 48sqm per hour.